each dime should be worth if I ever need to use them for barter? Two $5.00 rolls of 90% silver dimes equal $10.00 face value. There are 100 dimes in $10.00 worth of dimes. 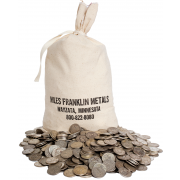 A bag of pre-1964 90% “junk” silver equals $1,000 face value (in any combination of dimes, quarters and half dollars). $10.00 is 1/100th of a bag. A bag of junk silver, melted down, equals 715 oz. 715 divided by 100 equals 7.15 oz. If spot silver is $20.00 then the silver in two $5.00 rolls of dimes is worth $143.00. But you are assuming that in a barter situation that the dimes will only be worth spot. They may well be worth much more. And spot could be worth $50 or $100 or $250/oz. or more. 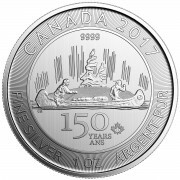 Your silver is now worth about $1.50 per dime. Two dimes buys a gallon of gas today. In early 1980 when silver reached $50/oz. a single silver dime would buy one gallon of gas at many locations around the country. That did happen. In 1980 silver was more than twice today’s price, so it would take only one dime in 1980 instead of two dimes now, with spot at around $20. So think of it this way, for a simple guide – your dimes would be worth at least 100 gallons of gas, (100 dimes and one dime buys one gallon of gas) regardless of how much it was selling for – and that would be a LOT of dollars but the dollar would be worth very little. That’s why there would be barter; people would not want paper dollars so their value would be minimal. Just remember that a bag is $1000 face value and is the equivalent of 715 ounces of silver. Multiply the spot price times 715 and divide it by the number of ounces you have – or divide 1,000 by the number of dollars in silver coins you have and multiply that number by the spot price. Q: I wrote to Miles Franklin a couple of months ago asking why the mining companies don’t get together to deal with the price of silver. Your response was that it would be illegal. However now I see Keith Neumeyer of First Majestic Silver Corp. is asking other mining companies to join him in holding back some of their production. What is the story with this collusion? Is this legal? If it is, why didn’t the mining companies do this a long time ago? Either way I am really glad to see that someone has a pair to take an active role in dealing with the paper manipulators. I am not a lawyer but as I understand it, companies cannot “collude” together in the U.S. to fix prices either up or down. I do not know the international laws but OPEC is an example of an out in the open cartel which nudges prices in various directions while acting in unison with supply considerations. That said, I suggested last month in “An open letter to the mining industry” that people contact their companies and act in their own best interest by selling only what is necessary for operations and withhold the rest until prices are better. I spoke with the CIO of First Majestic while at the New Orleans investment conference, I was told their action had been discussed prior to my letter going out. But, he said they had (as have other companies) received many letters (thank you everyone!) requesting this. I asked because I was curious, if the letter made any difference, he told me “no, we would have done it anyway.” …Upon greeting him he said, “Oh, you’re the one behind the letter” so I’m guessing they did get quite a few. 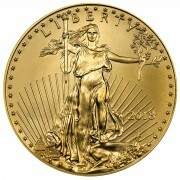 Q: Is it smarter to buy numismatic gold coins or gold bars/ Why? Bullion coins and bars are the preferred form of investment for the purpose of asset protection and/or financial insurance. They account for nearly all Miles Franklin’s business, as we believe strongly in the merit of buying as close to the product’s “intrinsic value” as possible. This way, you get as many coins for your money as possible, with absolutely zero “subjective” value. Some firms guide neophyte PM investors toward numismatics with promises they are rare, confiscation-proof, or other speculative beliefs. However, for the most part, they are simply attempting to sell them because their wider spreads yields higher commissions – which, by the way, has been a particularly prevalent practice since gold and silver prices started falling three years ago. Many of these firms are desperate for business – and thus, are “doubling up” their aggressiveness in marketing these highly risky assets. Essentially, numismatics are little different than baseball cards, rare art or even real estate – in that a significant percentage of their “value” is entirely subjective. Generally speaking, we believe numismatics are principally for experienced coin collectors – in most cases, because it’s actually their hobby. 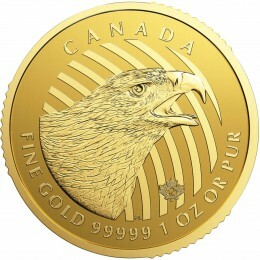 However, in the rare case where coins with actual scarcity or other unique characteristics trade at a very low premium to underlying bullion intrinsic value, we actively market them – given they may have some “option value” that you get essentially for free. A great example is some of the Royal Canadian Mint limited edition Maple Leaf series, which from time to time trade at prices not significantly different from generic Maples Leafs. “A bag of pre-1964” is not correct. Pre-1965 is correct. What a wonderful, factual, CONCISE answer on how to calculate bullion coin silver value! That should help settle “quaking” hearts while we watch the drama unfold. You stated “A bag of pre-1964 90% “junk” silver equals $1,000 face value (in any combination of dimes, quarters and half dollars) weighs 715 oz.” This assumes that each coin has absolutely no wear, which is most likely not the case.